Peter Pan collars have been used in children’s garments since the 1920s. The simple, yet elegant collar adds the perfect touch to any blouse, dress, or top. Gail Doane presents a plethora of finishing ideas that will delight you. From drafting a basic collar pattern to finishing the edges of the collar, this is a treasure trove of techniques. You will learn to draft your pattern, single pipe the collar, double pipe, whip stitch your piping, make a Madeira Overlay piped collar, and the beautiful ruffled edge collar. 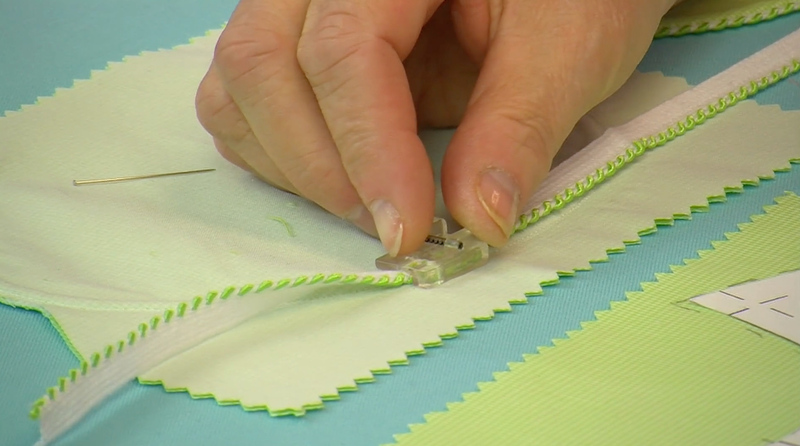 Using entredeux as an edging, Gail shares many ideas and techniques to embellish using entredeaux. 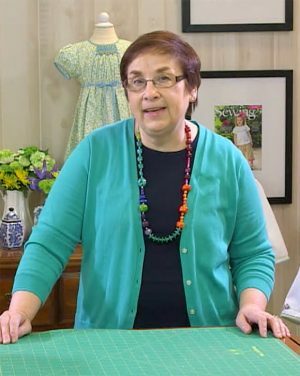 She shares design ideas using beads, tatting, bias edging and bridging to finish the collars. There are so many techniques and professional tips in this video; you will call this your treasure chest of Peter Pan collars. Want a discount? 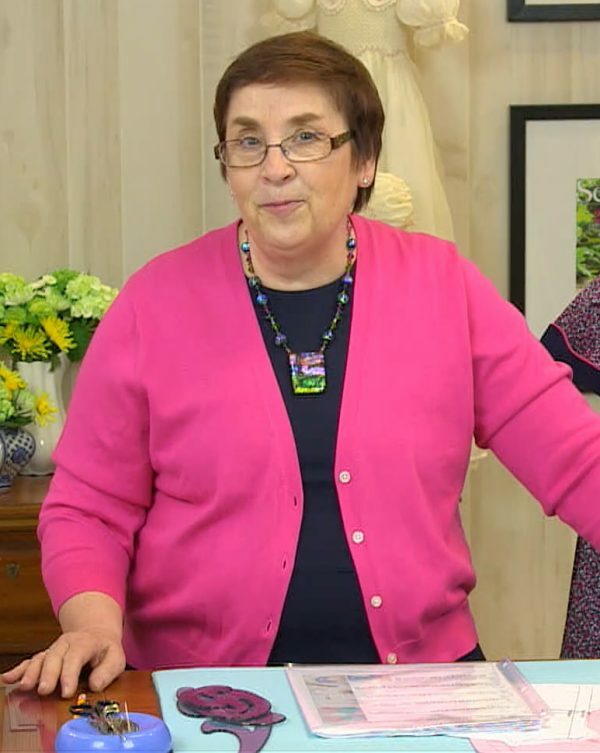 Become a subscriber by purchasing Classic Sewing Spring 2019 or Classic Sewing Summer 2019, or log in if you are a subscriber. A Peter Pan collar is named after the collar of MaudeAdams‘s costume in her 1905 role as PeterPan.The Peter Pan collar is a form of flat collar, cut to fit around the neckline, following the curve, and to lie flat upon the torso. Although regularly part of women’s fashion since the 1900s, the collar has been mainly associated with children’s wear since the 1920s. Sewists love Peter Pan collars and perfecting them is the goal! 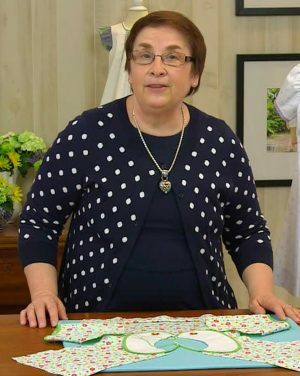 Gail Doane is a master of Peter Pan collars and shares her tips and techniques, in a step-by-step manner, so that sewists can follow the steps easily and make these adorable collars. 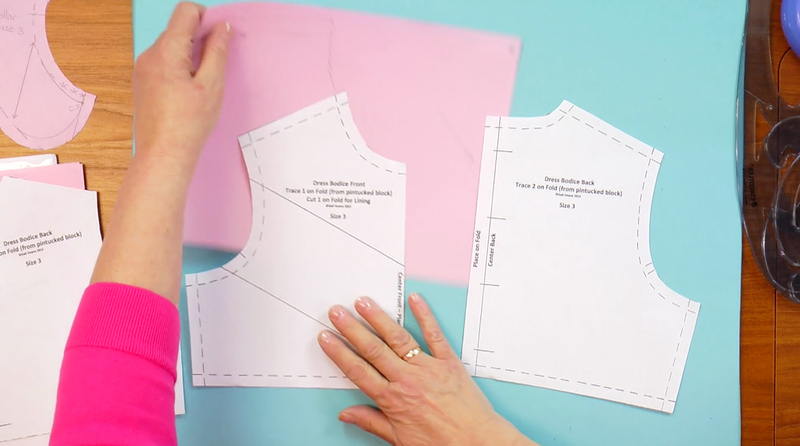 In this video you will learn how to draft a Peter Pan collar, make a single piped collar, a double piped collar with great variations like whip stitching your piping. One exciting collar that is offered is the Madeira Overlay, piped, Peter Pan Collar where you can combine two of your favorite fabrics. And no collection would be complete without the ruffled edge collar. 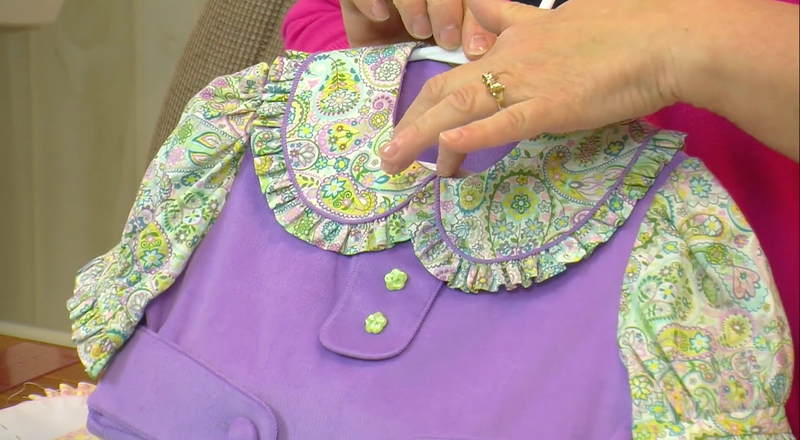 Applying entredeux to the edge of the collar is another great technique that Gail shares. From there she shows many variations using entredeux. You will also learn how to use beads, tatting, bias edging, and bridging. There are so many techniques and professional tips in this video; you will call this your treasure chest of Peter Pan collars. 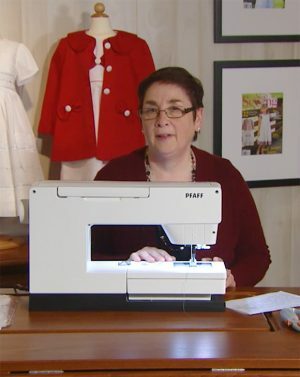 Gail Doane is an internationally recognized expert in sewing technique and design. Her works have been featured in many publications including Sew Beautiful, Inspirations, Australia Smocking & embroidery and is a featured designer in Classic Sewing. She travels internationally teaching and sharing her love of sewing. At a SAGA convention in 2001 she was told she should never sew a design by anyone else and from the day she began her design business. It’s the tiny details of sewing that are her recognizable signature style. Forum : Post a question if you need help with this class. We’re here to help! We offer 3 convenient viewing options: view instantly by selecting Online or if you would prefer to have the video shipped to you for offline viewing, select USB. Want the best of both worlds? Select Online + USB to start learning today while we ship you the class on a USB drive. Login under the “Member Login” section using your email or Username and Password. Next, under the “My Membership” section you will see your Classic Sewing purchases. Select the video title or the “View” button to be taken to the Video Introduction page. If included, Downloads for the video class can be found on the Video page(s). Post questions or find answers to your questions on the dedicated Forum, also found on the Video page(s).